The CRAMPS-200 by Demonia is a black vegan leather look platform boot with a 6 1/4 inch block heel and a 3 inch ridged platform. 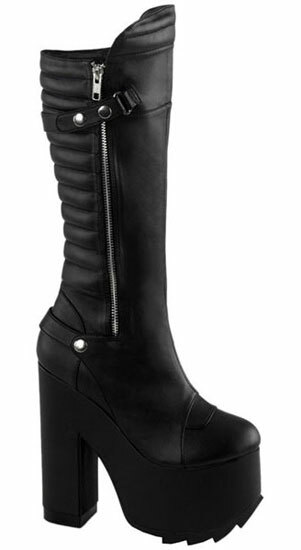 They are knee high with a quilted shaft design. They have an exposed zipper on the outside with snap on strap details and an inside zipper for closure.